Despite the recount at the parliamentary elections in a number of Serbian regions, and the fact that the DSS - Dveri coalition was able to win some seats in parliament, it is unlikely there will be political stability in Serbia. While the Assembly will have few more seats of persons labeled as pro-Russian or anti-Western, the current situation shows the monopoly of Aleksandar Vučić in adopting new laws. In fact, the presence of several other parties only gives the political show additional colors, nothing more. As we pointed out earlier, there are three possible scenarios for Serbia. 1. Logical completion of reforms initiated by Aleksandar Vučić, supported by the EU and other Western institutions. 2. The beginning of another political crisis, which can happen within the next two years, leading to re-elections. 3. An alternative political landscape will be formed in Serbia. In fact, the second and third scenario is the most acceptable for the Serbian people, if we consider that the last elections in April united little more than 50% of citizens who had the right to vote. This shows the political apathy of the majority of the population and the desire to change everything radically. However, to make this happen, Serbia should have a strict understanding of not only the goals, but also of possible geopolitical allies and political partners. According to Carl Schmitt, the concepts of “friend” and “enemy” are political categories, and they are changeable. In this case, such palliatives like the signing of the NATO cooperation agreement raises questions. Who is NATO for Serbia? Was this agreement signed in order for it to be violated, as Hitler did with the Soviet Union in 1941? Then we will see at least an intuitive following of Political, or will it be respected? Then, the Serbian leadership’s complete lack of logic and Political will be evident. 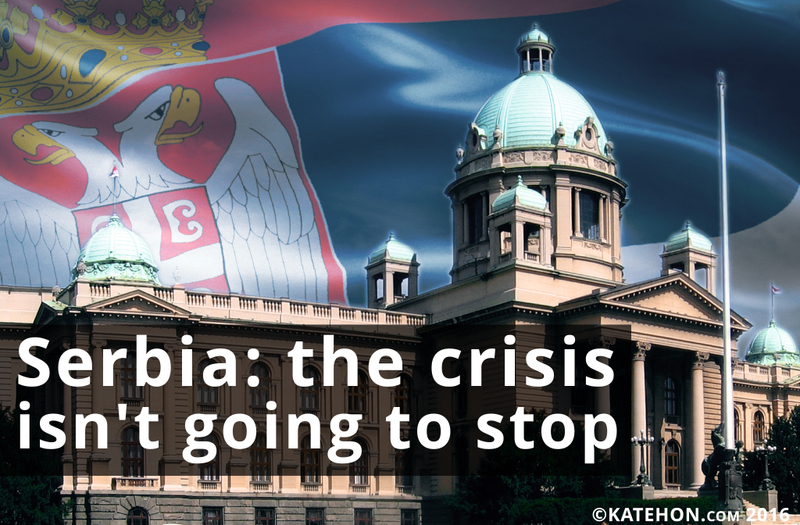 Perhaps, one of the key markers for Serbian politics is the attitude towards Russia. Average statistical Serbs idolize the Russian president Vladimir Putin and present the modern realities of Russian politics through the prism of their own world. But, the realpolitik in Russia has other properties, which often leads to undesirable consequences in Serbia. It should be understood that Putin’s vertical power has natural constraints within the specifics of the political structure in Russia. Many people and organizations that have an high official status, in fact, do not have a significant role, they don’t make decisions, and they do not have the competency. Therefore, something that the Serbs may see as the pinnacle of political success (for example, the signing of the contract on cooperation with one of the parliamentary parties of the Russian Federation), in fact, is not really important. In addition, there is the liberal wing (which is divided into open and hidden liberals, i.e. the fifth and sixth columns) in the Russian political arena. The Russian liberals can deliberately distort reality, give false promises, and try to influence the political processes in Serbia. This is partly an attempt to discredit the Russian top leadership, an attempt to justify their existence (especially if the Liberals are integrated into governmental structures), and to cover their personal interests (economic, bureaucratic, selfish, etc.). Until today, the Serbs had the temerity to blindly trust almost all representatives of Russian political and scientific structures, many of who posed as authoritative representatives of either Vladimir Putin or the Foreign Minister Sergey Lavrov. Sometimes the Serbs themselves automatically labeled the suspicious individuals and adventurers like representatives of Russian authorities. This mistake should not be further repeated if the Serbs are interested in attending a real political process. Otherwise, there is a risk of being captured again by false illusions and the manipulation of others. Katehon think tank will do everything possible to explain to Serbian readers who is who in Russian politics and give further predictions on the situation in the Balkans. Although the parliamentary elections in Serbia highlighted some problems in some parties and the vision of political scientists, we intend to provide our information resource for all pro-Russian Serbian forces. In this difficult period, the Serbian people need a clear understanding of the position of the Serbian parties themselves. Thus, we hope to contribute to the formation of future alternatives, which will be created by the Serbian people themselves. p.s. Crisis is greek word that means: 1) separating, distinguishing; 2) decision, judgement. Vučić won - what's next?